High Quality Content by WIKIPEDIA articles! 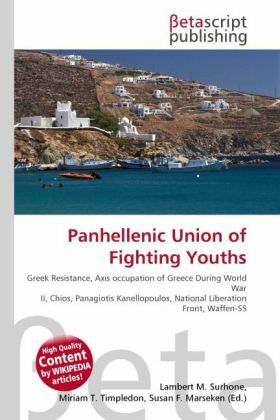 The Panhellenic Union of Fighting Youths, abbreviated as PEAN was a Greek Resistance organization during the Axis Occupation of Greece in the Second World War. The organization was concentrated in the areas of Athens and Piraeus, and although it never expanded to become a wider movement, it was one of the most active of the multitude of urban resistance groups that sprung up during the Occupation, and one of the first to carry out active resistance, in the form of bombings.